Today, I present one of my FAVORiTE desserts...you will be hooked for ever. What is Gries? Semolina. Some people here make it with Cream of Wheat, but I recommend semolina. This is a feel good, and made by feel recipe :). You will need approx. 2 cups of milk (you can try this with coconut milk, or soy, I am sure), 2 tblsp sugar, and 1/4 cup plus of semolina. Bring milk to a boil, add sugar and semolina, and STIR. You have to keep stirring, otherwise it will burn. This is where the 1/4 plus comes in. You bring the mix to a boil, then bring down the heat and keep stirring. It should thicken up. For real "Griesbrei", you want the consistancy to be smooth, not runny, but not too hard (If you eat grits, and the Brei is that thick, it is too thick). If it does not thicken, add more semolina. Make it more delicious by taking your Brei of the heat, then stirring in an egg yolk. You can stop here and have a great meal, just add some berry compott...mmm. You make it a bit thicker, so your spoon almost stops while you are stirring. Take the finished Brei and put it in a pie dish, and put in the refridgerator. It will become stiff. YEAH! Now take this stiff Brei, and cut it into wedges. Heat up your favorite skillet with some BUTTER, put the wedge in and fry on both sides. P.S. The Gries Schnitte in the picture is a bit woobly. The Brei was too soft, but we ate it anyways, because it was DELICIOUS :). I am not talking about the "Drink a few beers and turn down the lights" type of beauty remedy...today :). No sister, I am talking about the fabulous, inexpensive, Wild Woman way. Have you ever noticed how Wild Women are always radiant? They shine, even at a very wise age. I will bet some big $$'s that is not a chemical peel, botox, or expensive cream that keeps them looking that way. Meet Nettles, Clover, Oatstraw & their sisters. Now is the perfect time to get into an infusion routine. Infusions make excellent cool summer drinks. Not only will your skin & hair thank you, your beautiful organs will SING with joy. Okay, I am getting a bit carried away, but seriously, herbal infusions flush toxins out of your body, rejuvenating your cells. Stay consistant for 6 weeks, and you will notice a change, inside & out. It is not as quick as drinking beer and turning off the lights, but you will feel much better, Goddess :). 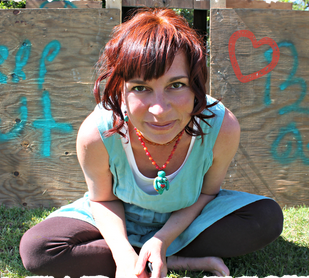 I am a creature of convenience, and as always, I will share my simple way to make it happen. 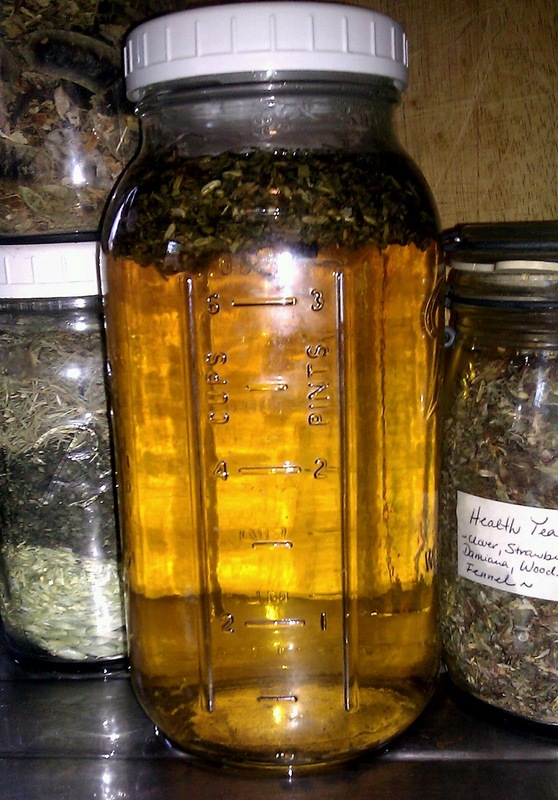 Before you go to bed, boil water, but a few fat pinches (or about 1/4 cup) of herbs in a quart size mason jar, cover with water, close, and let stand overnight. The next morning, strain into another mason jar, screw closed, start sipping, or put some ice in if you like it cold. If you finish that mason jar, you will look & feel even MORE fabulous after just a few days. BTW, if you have a teenager, this is the BEST way to avoid acne. 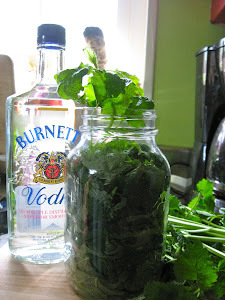 My 14 yr old always goes for the Nettles....Just make half gallon jars, and double the herbs. The measurements are only a guide, adjust to taste. 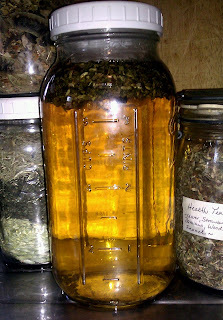 I actually make my infusions really strong, since we all LOVE the taste...no sweeteners added, not even the kids. I get all my herbs at Mountain Rose Herbs if I don't grow them in my yard. Check out the big bags, it is well worth the extra $$'s. I will also be offering the mixes via mail for a small donation if you don't want to make them yourself. Just message me :). My tip: make any mixes in batches, so that all you have to do is scoop them out.